The average American has over $5,000 alone in consumer debt. Want to learn how to get out of debt more quickly? Check out these 7 tips to pay off your debt faster. Once you make the decision to pay off your debt, you may at first feel a little overwhelmed. Just as with anything, the best results come with repetition and dedication. The following tips, coupled with determination, will help you pay off your debt in a very timely manner - and finally, take the burden of debt off your back. This might seem like a no-brainer, but credits cards are by far the biggest reason most people find themselves in debt. According to Credit.com, the typical person has over $5,000 in debt! Add an interest rate to an amount of money that large and you end up paying a lot more. By choosing to cut up your credit cards, you cannot use your cards even if you wanted to. You must use a debit card or cash without even being able to reach for the Rewards Card. It may be quite the adjustment at first, but by getting rid of credit cards, you can cut your debt substantially. When you have a large amount of debt to pay off, and you want to pay it off quickly, you must decide what are needs and what are wants. You can save extra money by cutting down in other areas of your expenses such as the internet, cable, or phone plans. These changes do not have to be drastic, but small changes do add up in the long run. Switching to Netflix instead of cable can save $30 or $40 a month. Finding a cheaper phone plan can also be a viable option - look around and talk to friends to find the best deal you can. You must be willing to identify wants and needs, and then focus on cutting the wants out of your life. The debt snowball method has proved to be one of the most effective methods for paying off debt. The idea behind it is to pay off your smallest debt first, and then going on to your next biggest debt after that. Continue to put all of your previous debt expenditures onto each growing debt and before you know it, you will have a debt snowball. A debt snowball is a powerful tool used while trying to get out of debt quickly. One of the most famous advocates of the debt snowball is the talk show host Dave Ramsey. Dave's book, The Total Money Makeover, talks not only about a debt snowball, but how to get all of your finances in order. It describes how to get out of debt step by step and will teach you about proper money management. It is a fabulous read for anyone who would like to hop on the road to financial peace. While it may be a simple concept, spending less than you make is a fundamental concept when it comes to staying out of debt. Spending more than you make is so easy when you have credit cards. That is why it is so critical to cut up the cards and stick with cash and debit cards. Putting purchases on plastic blinds the consumer to how much they are really spending. It is not until you look at the bill that you realize how much you have spent, and how much you owe. A huge help for this tip is to make a budget. Sit down with a pencil and a piece of paper and write down all income, and all expenses. Then, you will be able to find where you need to spend less. Working a part-time job is a very viable option when trying to pay off debt fast. Working an extra 10 to 20 hours a week can help substantially with bills. You can perhaps freelance and pick up side gigs in areas that you excel in, such as writing. Working an extra part-time job may be a little stressful at first, but with time, you will soon see results. You do not have to work an extra job forever, just until you feel comfortable with the financial situation you are in. Let's be honest, none of the above steps are very effective unless you have a strong desire to implement these changes and stick with it. 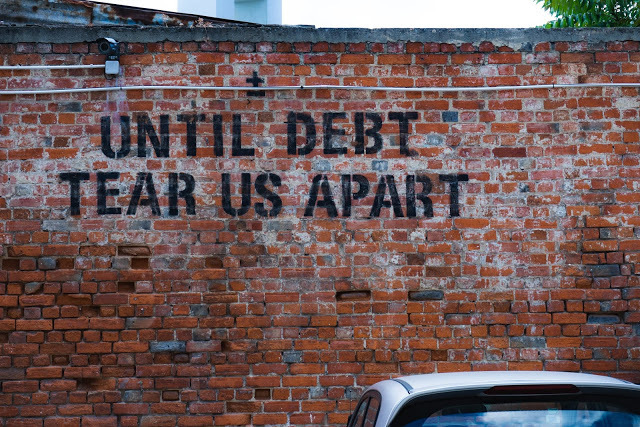 The burden of debt is a real one, and if you are not aggressive about paying it off once and for all, it will hang about your neck for years to come. Think of all the stress that could be alleviated by getting serious today and paying off the debt now. Just get out there and do it. You won't regret it. Paying off debt is stressful to say the least. This last step is a little treat for yourself. Set a little bit aside each week to do something for yourself. Perhaps is a few dollars to go out and get an ice cream cone with the family. Perhaps it's watching your favorite television program every Saturday. Regardless of what it is, you need to reward yourself for what you are doing. Paying off debt quickly is an attainable goal. By implementing the 7 steps above you will get there before you know it. Remember to stick with a plan and do not give up.